Some of our favorite and readers best brownie recipes. Mix then put the mix in foil liners. Cook at 350 for 10 minutes then put peanut butter cups inside and cook for 20 more minutes. 2. In a microwave safe mixing bowl, melt butter in microwave oven. 3. Add sugar, vanilla and eggs. Beat for 1 minute. 4. Add flour, cocoa, baking powder, salt and chocolate chips. Mix until blended. 5. Batter will be very stiff. 6. Grease a 9 x 9 inch glass baking pan with non-stick cooking spray. 7. Pour batter in pan, and bake for 25 minutes, or remove when a toothpick inserted 1inch from the side of the brownie pan comes out clean. 8. With oven mitts or hot pads, carefully remove brownies from oven. Get a box of brownies and mix it up then put 3 packs of mini crushed butterfingers. 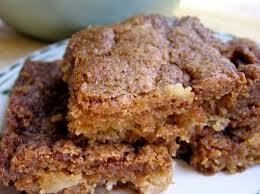 Put 4 crushed butterfingers on top then bake. You can do this with any kind of candy such as mini caramel kisses. Melt butter and add sugar, salt and egg. cream until fluffy. Stir in nuts and apples. Fold in dry ingredients to blend. blend together. pour into greased 8" baking pan. Bake at 350 for 45 minutes. Microwave 3 Tbs of butter for 30 seconds. After, mix the butter with the 1ts of Vanilla Extract. In a separate bowl, mix the 1 1/3 cup of sugar, 1/2 cup of flour, 1/3 cup of applesauce, 1/2 cup of Fat Free Milk, 2/3 cup of chocolate chips, and the 1/3 cup of butterscotch. Then, add the Butter and Vanilla Extract that is already mixed together to the other mix. Pour entire bowl into a glass bowl and put it in the oven at 350 degrees and wait until a toothpick placed in the brownie comes out clean and you will be good to take it out of the oven. Let the brownie cool for 5-10 minutes and add a drizzle of butterscotch and melted chocolate chips to the top. Then in a mug you mix the oil, the cream and the vanilla. Add the powder ingredients and mix until is homogeneous. Finally add the walnuts and the chocolate and microwave for about 60 sec. 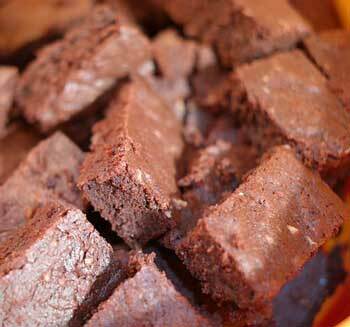 When using a boxed mix for brownies, try adding something extra add ins. Prepare brownie batter according to box directions, then add some of your own ingredients. Don't go overboard though! 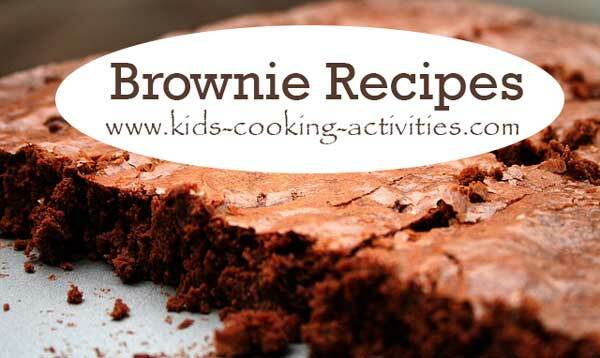 Here are 30 different ways to make some easy brownies with your kids. Make them original  follow the box recipe, dont add anything extra. Just put some thick frosting when their done baking and after they have cooled. Nuts and Chocolate chips  putting some almonds and chocolate chips in the brownie batter is my FAVORITE way to make some delicious chocolate. Have the kids measure out the chocolate chips and cut the nuts up for you. Swirl in Cream Cheese  Make a cream cheese sugar mixture. Beat together 4 oz cream cheese, 1/3 cup sugar, 1 egg, ½ tsp vanilla. After you pour the batter in the pan, drop the cream cheese mixture on top of it by spoonfuls. Then, take a knife and swirl in the cream cheese. Andes Mint Brownies - buy a bag of Andes mints candies and have the kids cut them up. Then, add the pieces to the brownie batter before it gets poured into the pan. Reeses Brownies  Buy a Reeses candy bar or small peanut butter cups and cut them up and add them to the batter. Oreo Brownies  cut up some oreo cookies into bite sized pieces and mix through the brownie batter  super easy brownies and absolutely delicious! 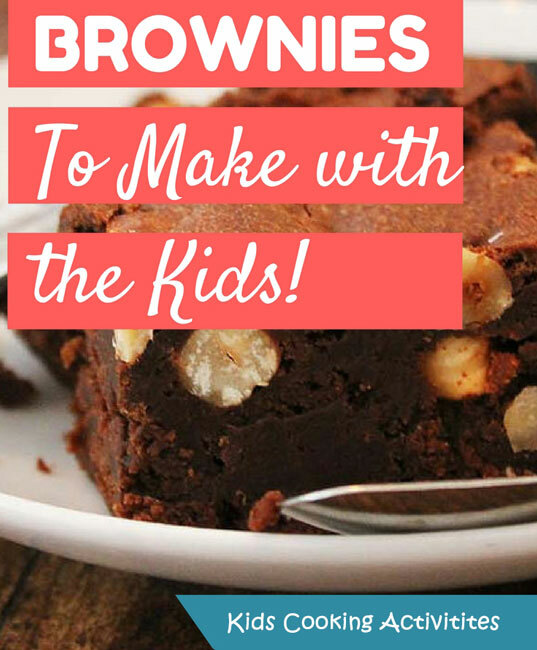 Skittles Brownies  These are a little bit weird but sprinkle some skittles through the brownie batter  definitely gives an interesting texture but kids love the skittle brownies! Cherry Pie Filling Brownies  After you pour the brownie batter into the pan, drop cherry pie filling by spoonfuls on top of it. You might have to bake it a little bit longer but these are super easy brownies that they are worth the wait! 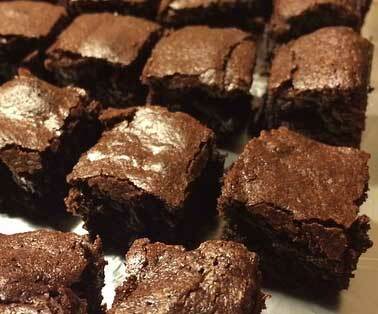 Red Hot Brownies  want to add some pizzazz to your brownies? Sprinkle red hots into the batter. Just be careful that you dont add too many. Snickers Bites Brownies  cut up a snickers bar or add the mini ones into the brownie batter. Butterfinger Brownies  cut up a Butterfinger candy bar and add it to your brownie batter. Butterscotch Brownies  add about ¾ cup of butterscotch chips to your brownie batter. Peanut Butter Brownies  After the brownie batter has been poured in the pan, heat about ¾ cup of peanut butter in the microwave for about ½ a minute. Then, drop it by spoonfuls over the brownie batter. Finally, take a knife and swirl the brownie mixture together. 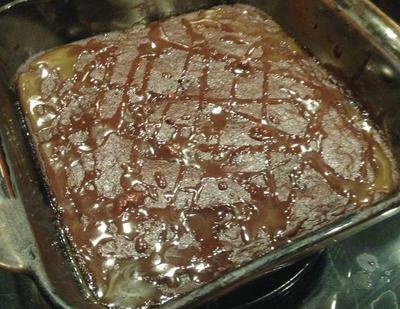 Milky Way Brownies  cut a milky way bar up into pieces and mix it into the brownie batter. Almond brownies  cut up some almonds and add about ¾ cup into the brownie batter. What a nice crunch! Rolo Brownies  dropping rolo pieces into the brownie batter doesnt get much easier than that when it comes to making a fancier brownie. Put Frozen Raspberries into the Batter  you dont need to defrost the raspberries. Just add them into the batter and mix together. You might have to bake these longer, depending on your oven. Hershey Bar Chunk Brownies  very similar to chocolate chips except you get bigger chunks of chocolate throughout. And yum, yum, yum! Frozen Mixed Berries  just like the raspberries, add about ¾ cup of frozen mixed berries to your brownie batter. Plain M&Ms Brownies  add about ¾ cup of M&Ms to the brownie batter and kids will love all the fun colors throughout. Peanut Butter M&Ms Brownies  The peanut butter M&Ms give such a nice burst of peanut butter flavor crunch to the brownies that make them fun to eat. Reeses Pieces Brownies  add about ¾ cup or Reeses Pieces to the brownie batter. Twix Brownies  cut up a twix candy bar and add it to the brownie batter. Chocolate Chip Cookie Brownies  cut up chocolate chip cookies into bite size pieces and add to the brownie batter. Nutter Butter Brownies  add some nutter butter cookies chopped up into your brownie batter.